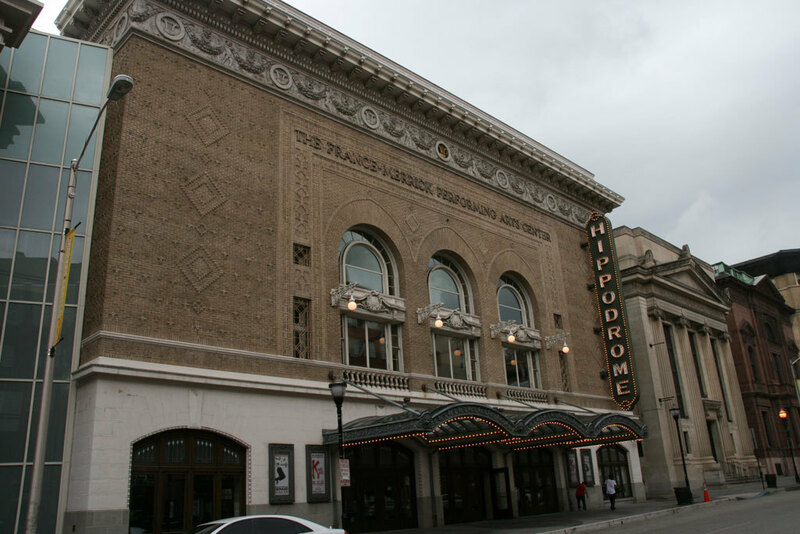 Designed by noted Scottish American theatre architect Thomas Lamb, the Hippodrome Theatre opened in 1914 as one of the first theatres in the United States to operate both as a movie house and a vaudeville performance venue. Local theatre impresarios Marion Pearce and Philip Scheck (who owned six theatres and exclusively distributed Hollywood films), commissioned the theater on the site where the nineteenth century luxury hotel Eutaw House (1835) once stood. The original theatre seated 3,000 people and visitors entered the grand building through glorious doors that featured stained glass transoms, opening into red carpeted rooms adorned with painted gold plasterwork and heavy crimson curtains. 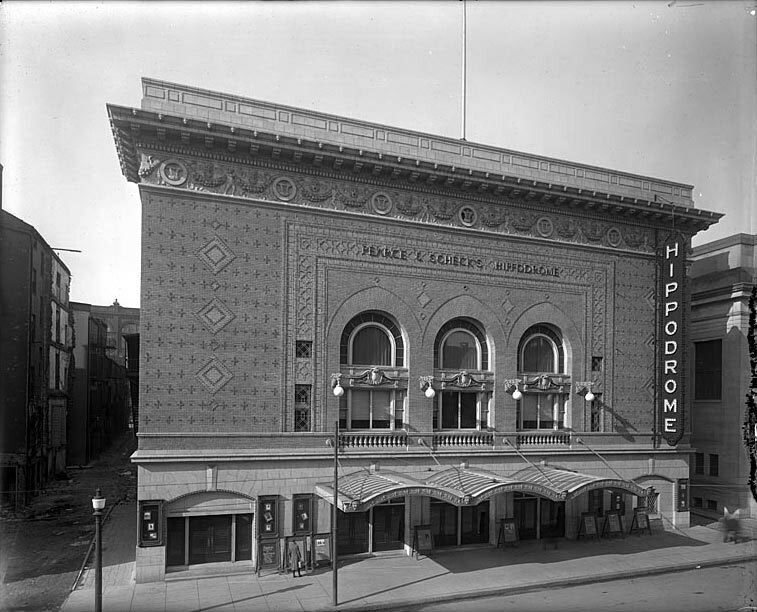 The Hippodrome's opening night featured a screening of the film "The Iron Master," vaudeville acts, a man juggling a barrel with his feet, and a group of four performing elephants. Pearce and Scheck operated the theatre until 1917, when it was sold to the Lowe's Theatre Chain, who held it until 1924. By 1920, around 30,000 people visited the theater every week—one of the most well-attended theaters in the city. After a prosperous decade, in which the theatre often featured three shows a day, declining attendance put the Hippodrome into receivership in 1931. 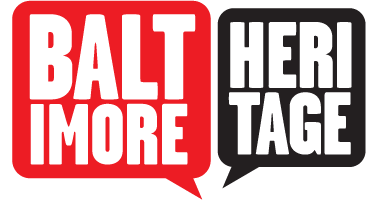 L. Edward Goldman purchased the property, plus debts, for a mere $14,000 and hired Philadelphian, Isidor "Izzy" Rappaport, to manage the ailing venue. During Rappaport's tenure, the Hippodrome saw a second golden age. Rappaport, who later bought the Hippodrome himself, oversaw the installation of a grand new marquee , outfitted the theatre with new seats, and brought in numerous notable acts, such as Frank Sinatra, Bob Hope, Jack Benny, and many others, securing its reputation as one of America's premier vaudeville houses. The lure of new, high-paying gigs in Las Vegas along with the arrival of television and televised variety shows in the 1950s, however, brought the demise of many vaudeville houses across the country and the Hippodrome held its final live show in 1959. Business continued to decline in the 1970s and 1980s and though it had become the last operating movie theatre on the west side of Baltimore's downtown, the Hippodrome shut its doors in 1990. 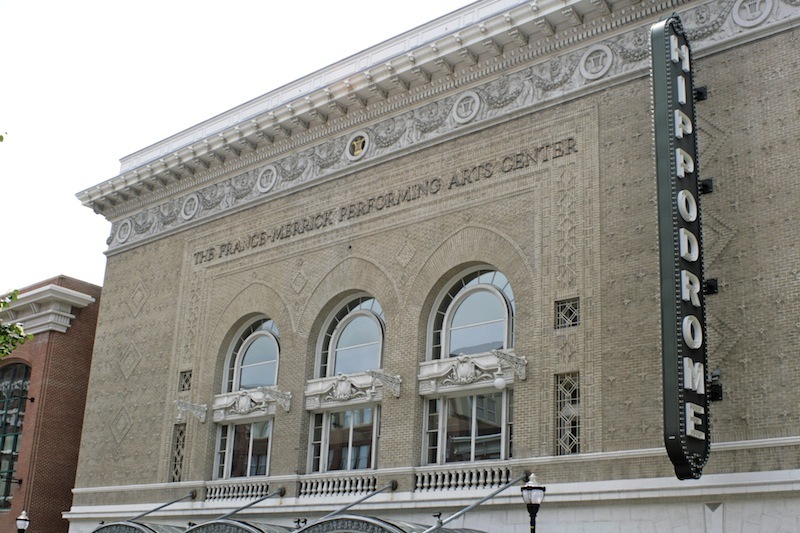 Fortunately, this landmark theater has been reborn, reopening in 2004 as the France-Merrick Performing Arts Center, combining new construction with the preservation and reuse of the Western National Savings Bank, the Eutaw Savings Bank, and the original Hippodrome Theatre. The Performing Arts Center has brought the Hippodrome back as a state-of-the-art showcase featuring touring Broadway shows and much more. 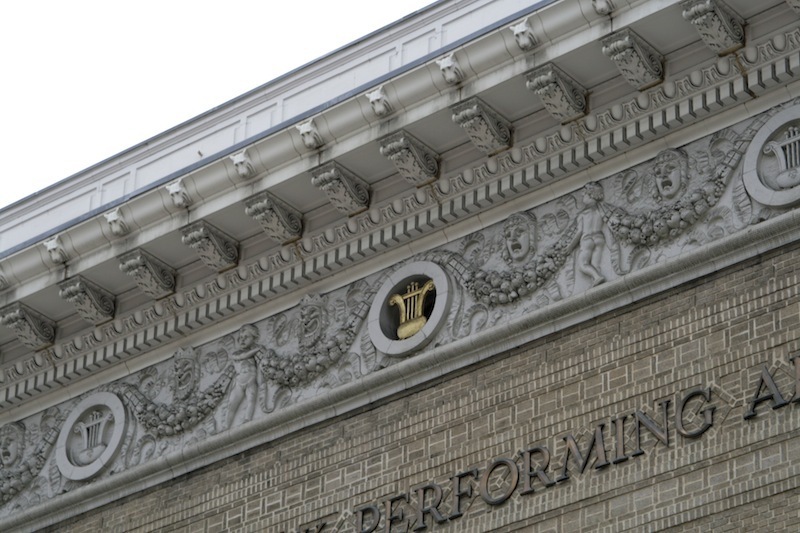 Theresa Donnelly, “Hippodrome Theatre,” Explore Baltimore Heritage, accessed April 23, 2019, https://explore.baltimoreheritage.org/items/show/125.